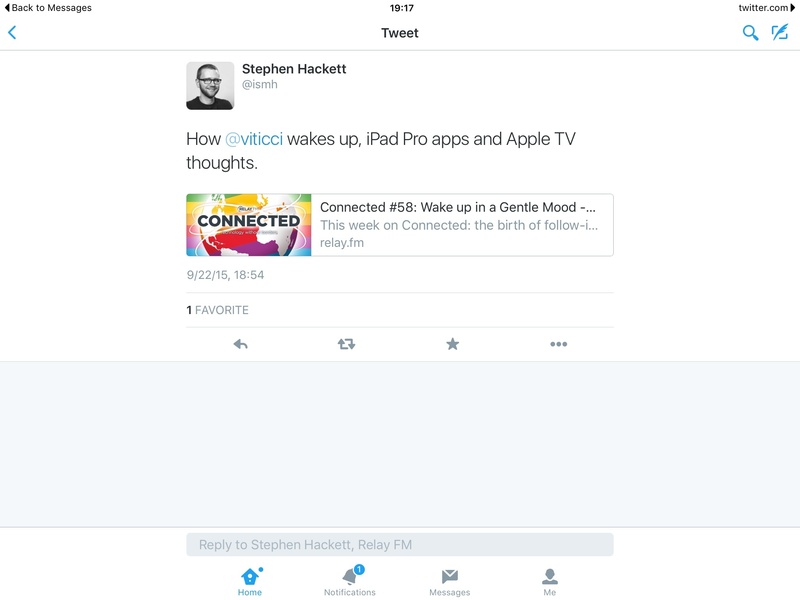 A Universal Link opened in the Twitter app for iOS 9. In an update that added full support for quick replies to notifications and the ability to view muted and blocked accounts in Settings, Twitter also brought Universal Links to its iOS app today. With today's update, this is exactly what Twitter has done. After updating the app and launching it at least once (so it can match the required JSON file on its servers), twitter.com links you'll tap anywhere on iOS will default to the official Twitter app if installed. As with other Universal Links, a forward button in the top right corner of the status bar will let you open the selected view in Safari; if you do that, a banner at the top of the webpage will let you reopen the app in the original deep-linked view. Going back to an app with Universal Links from Safari. 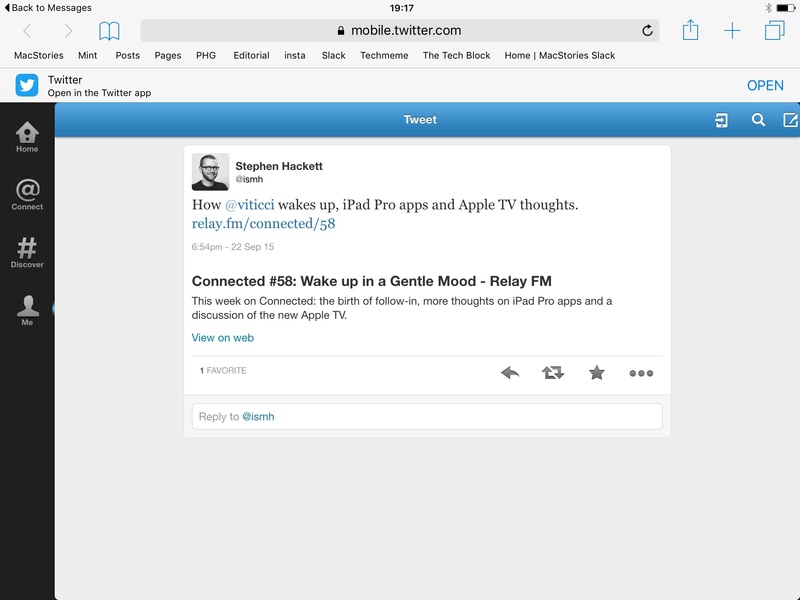 I was expecting Twitter to adopt Universal Links on iOS 9, and their implementation works as advertised. In my tests, individual tweets and user profiles opened in the Twitter app instead of Safari, providing a superior option than the company's mobile web app. As I noted in my iOS 9 review, third-party Twitter clients won't be able to take advantage of this integration as only associated app domains (in this case, twitter.com) can verify their iOS app. Even if you don't use Twitter's app for iOS, I would recommend keeping it installed if only for the better experience of automatically opening Twitter links from Messages, Mail, and other apps in the native client instead of the website. Twitter's latest update with Universal Links support is available on the App Store.